I recently spent a wonderful day working at Horses Haven, a local organization that rescues horses, donkeys and other animals who are abused, neglected, unwanted, aged or whose owners can no longer afford to keep them (not so unusual with Michigan’s economy). I loved being at the horse farm. Horses have been my passion since childhood. I think “horse” was one of the first words I spoke as a child. After years of begging my parents, they finally let me take riding lessons when I was 9 years old. I still remember dancing around the house singing “I’m so excited” by the Pointer Sisters. For the next 13 years, I lived and breathed horses. My first trainer spotted my talent for handling horses and riding so invited me to work at the barn every Saturday for a few hours to earn free riding time. I rode hunter/jumpers, having no fear at jumping 4’-5’ fences or riding the high-energy, mischievous horses. I switched barns when I was 15 to ride with a trainer who pushed me a bit more. I never owned my own horse, however, always had offers to ride others’ horses for lessons and at horse shows. When I went to Central Michigan, I couldn’t get home often enough to ride so found a farm that bred and trained Quarter Horses near Mt. Pleasant. I offered to work around the barn in exchange for riding opportunities. The owner happily accepted so I spent the next four years learning much about training horses. 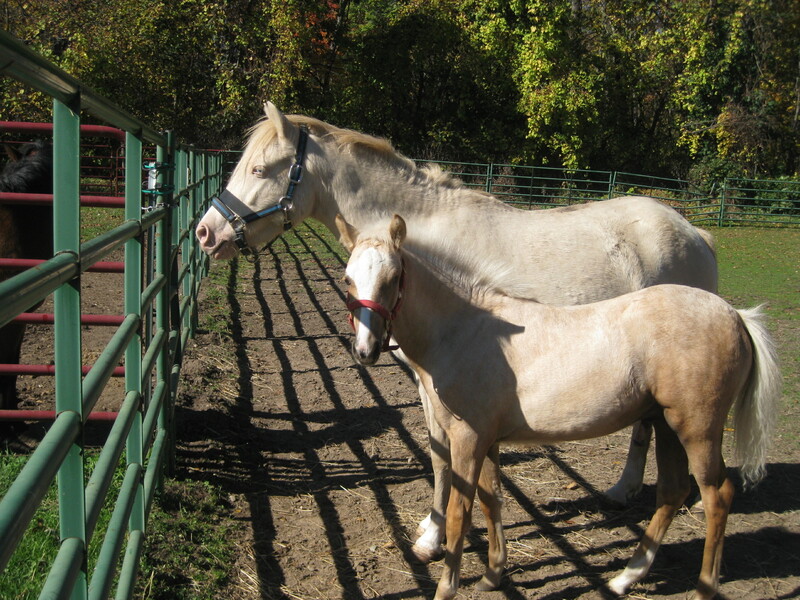 I loved spring time when the new colts and fillies would run around the pastures. Nothing brought a smile to my face faster. When I was 21, my senior year at Central, I got a job exercising racehorses for a local trainer. It was at this farm that I finally stopped ignoring the growing pain in my left knee. I went to a walk in clinic in Mt. Pleasant and discovered my bone cancer. It changed everything. As scared as I was by the cancer diagnosis, I was devastated by the idea of not riding again. Since my knee and femur were to be replaced with titanium, I could very much jeopardize my leg if I fell off a horse. Despite that fear, I decided to try riding for pleasure after I finished chemo. I didn’t have the carefree attitude of the past, however, I was thrilled to be back in the saddle. Unfortunately I had to replace my titanium rod again after a fall at work and my surgeon said I would have to make a decision – risk losing my leg or ride a horse. It wasn’t much of a choice of course. I was blessed and grateful to still have my leg. But I took giving up horses very hard. I was incredibly bitter and angry toward cancer, and hated those feelings. I cut my favorite animals from my life – sold my tack, took down pictures, gave away books and movies. I thought it was easier. For so many years, horses were my escape from school, peer pressure, work and life in general. I relaxed the moment I crossed into the barn. I could stand in a stall with a horse, run my fingers through his mane, rest my cheek against his shoulder and enjoy minutes of peaceful quiet. I lived for these moments. And cancer took it away. A few years ago I decided to get those feelings back. I found Horses Haven. I attended one of their farm tours and felt an odd pull like I had come home. Horses Haven began in 1995 and is completely volunteer run – no paid staff at all. That fact still amazes me when you consider how much time and energy goes into feeding, watering, cleaning stalls/pastures, taking care of many animals who often have health issues, and just ensuring these well-deserving animals feel love. Dedicated volunteers work in shifts throughout the day, every day, to keep the farm running and the animals taken care of. 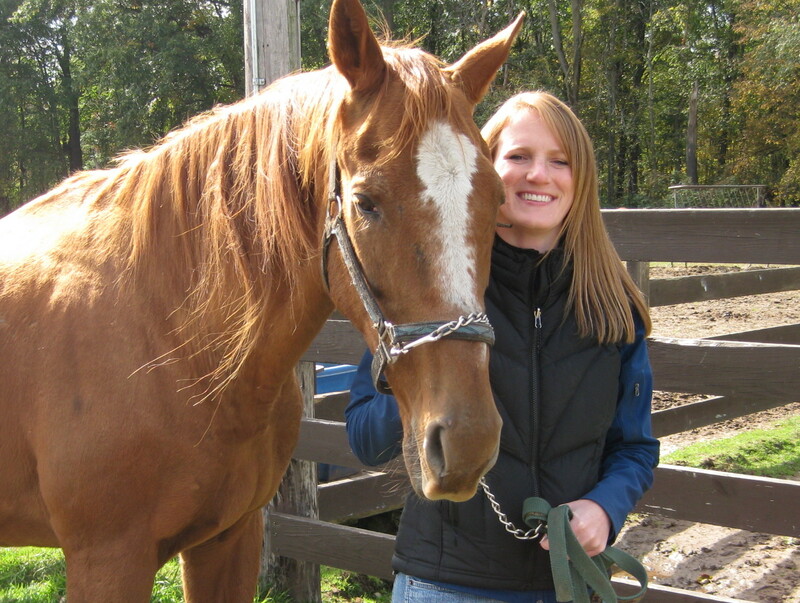 I often wanted to volunteer for these shifts, however, my schedule isn’t very regular and the farm isn’t very close so I decided to sponsor a horse – basically my financial support helps take care of him. It wasn’t easy choosing a horse to sponsor. They all have special stories. How do you resist this handsome face?? 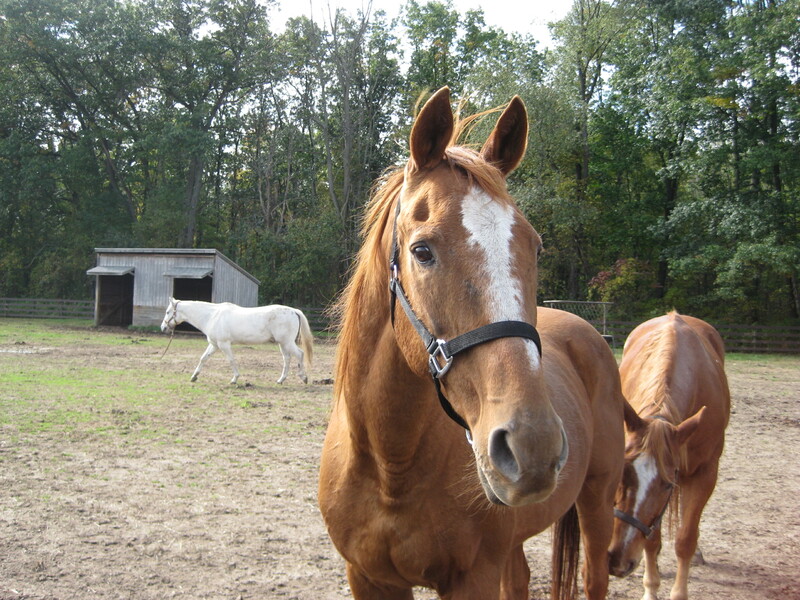 Shecky, Sarge and Hootie hang out at Horses Haven. So I spent Saturday working at the farm, probably scrubbing 50 buckets clean, then filling heated water buckets in the barn.. It brought back many memories of working at the barn as a teen. My highlight of the day was when a mare and new baby were turned out in the paddock near us working. I couldn’t help but stop to watch the little colt run and show off for his audience. It was the perfect day for me – everywhere I turned I spotted horses. This cute colt was born at Horses Haven. So cute! 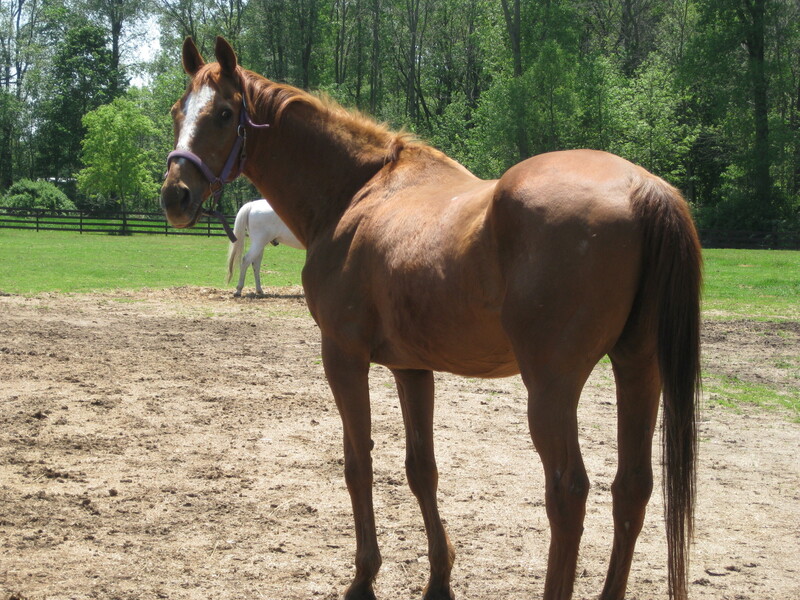 I know my donations help keep the horses fed and taken care of. Yet I always feel like I get so much more from these animals. Some days when I visit the farm, I just stand at the fence watching different horses graze or play. I feel the challenges of life wash away. And while I can’t ride anymore, I remember what drew me to the horses so long ago, and I’m grateful to have that again. Thanks for your nice comment, Kelli. I do love being at Horses Haven. It’s a great place! I love this, Heather! Thanks for sharing your story (not that I haven’t heard it or lived through it with you :o) but always a nice reminder of what you have been through and more importantly, what you have overcome! Horses are such a beautiful animal – they are so easy to love! You are doing a great thing with Horses Haven!